Peanut cultivars are available that have high resistance to the peanut root-knot nematode (Meloidogyne arenaria) or spotted wilt caused by tomato spotted wilt tospovirus (TSWV). However, no cultivars exist that have resistance to both pathogens. Tifguard was developed to combine resistance to both pathogens in a single cultivar by hybridizing a TSWV-resistant cultivar with a nematode-resistant cultivar. Tifguard has a runner-type growth habit with dark green foliage and a prominent main stem. Because of its high level of resistance to both TSWV and M. arenaria, Tifguard had significantly higher yields than all other entries when grown in two locations with high pressure from both pathogens. 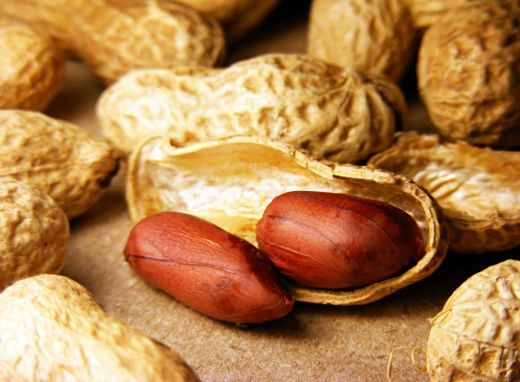 This cultivar should be valuable for peanut growers who have to deal with both pathogens. Field tests for resistance to peanut root-knot nematode were conducted at two Georgia farms in Tift County that were heavily infested. In testing for TSWV-resistance, Tifguard plants were grown in plots at one Tift County farm that also displayed severe TSWV problems. Not only did Tifguard exhibit higher resistance to TSWV, it also produced higher yields than standard check cultivars when grown in fields with little or no nematode pressure. Because of its high level of resistance to both TSWV and root knot nematode, Tifguard had significantly higher yields than all other varieties when grown in two locations with high pressure from both pathogens.